We are Southern New Hampshire University Men’s Ice Hockey team. We pride ourselves on having one of the hardest non-conference schedules in D-II / D-III hockey. That paid off during the 2013-2014 season when we won the Northeast-10 Championship. We are also just as dedicated off the ice, as we have won the Team Academic Excellence Award in the NE-10 the past two years in a row. We are looking forward to having another great year, both on the ice and in the classroom. As a part of our exciting and challenging non-conference schedule, we are traveling to Arizona State University for two games to kick off our season. ASU is in their first season as a Division-1 hockey program. This is an amazing opportunity to showcase our team against one of the best up and coming programs in the country. This trip will be a great test and will really prepare us to make a run at another NE-10 Championship! We've been working hard on a variety of fundraising efforts (including working the fryalators for long, long days at NASCAR events!)... But we cannot do this without your help! 100% of your donations will go directly to our hockey program. We have done as much fundraising as we could do over the summer and this preseason, but we still need your help. Any donation will be greatly appreciated and we will make you proud this season. Roll Penmen! Thank you to our friends, family, alumni & fans - your support is overwhelming. We've blown past our initial goal of $5,000, but there's still more we can do together! Let's start chasing a stretch goal of $10,000. Every dollar still goals directly to our program and helps offset the cost of our trip to Arizona State. Every dollar you give benefits our team. We're proud to represent SNHU on the national stage in our games against ASU. THANK YOU for your support. Unbelievable! We're up to 78% from just a few hours ago. We're incredibly humbled and thankful for your support! 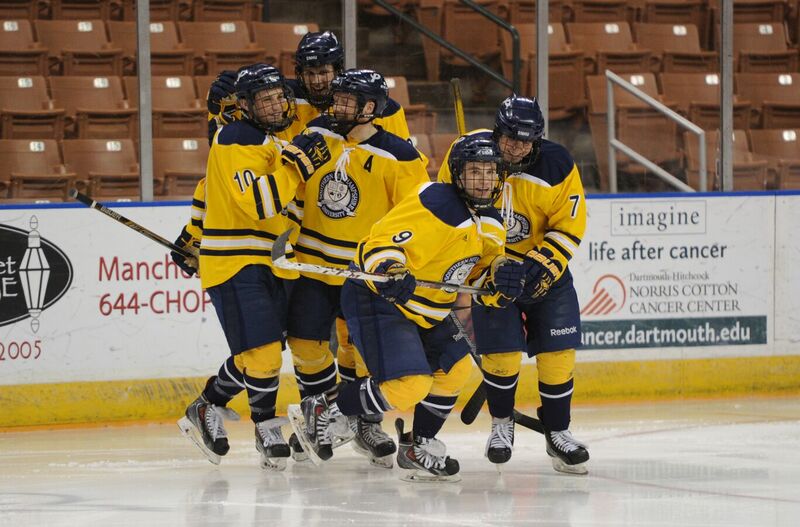 It took just a few hours for us to jump from 50% to 75% of our goal, thanks to our alumni, families, and Penmen fans. Thank you! Incredible! We can't thank you enough for your support - the response has been tremendous from our alumni, fans & families. It's the best motivation possible as we continue to train for our opening weekend at Arizona State. Stay tuned for more! Thank you so much to the family, friends, and alumni who have donated to our crowdfunding campaign so far! We hit 25% in just 2 days... your support means we're well on the way to Arizona State. Stay tuned for more updates from the ice as we continue to work our tails off to prepare for our trip and season opening.